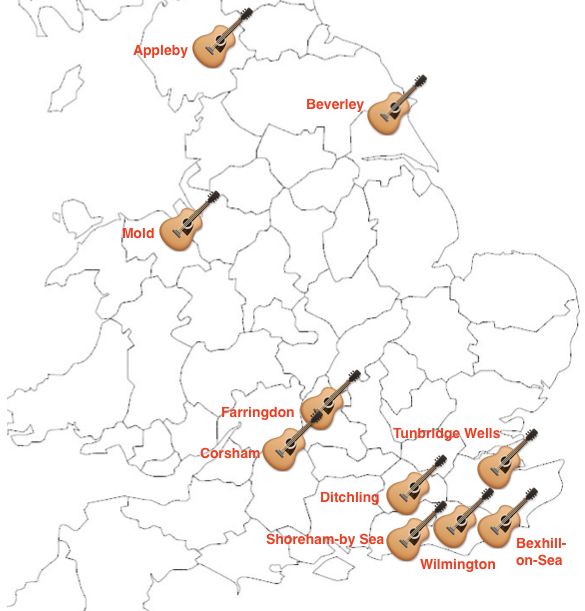 Richard Durrant is busily packing his bags before heading south to Chalais in France for the second French Guitar Adventurers. After France I’ll be be continuing the hot, sunny mood with my Summer Special show at the Ropetackle in Shoreham-by Sea on Friday 21 July. This will feature a special performance of The Girl at the Airport when I will be joined by the La Cordia string quartet. 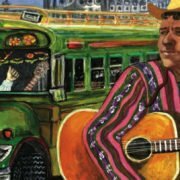 There will be lots of other surprise guests and stacks of summer music to welcome in the holidays. Do join me there if you can! 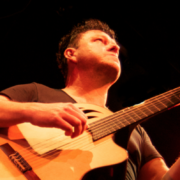 Richard Durrant Candlelit Christmas Concert – Wilmington – SOLD OUT! 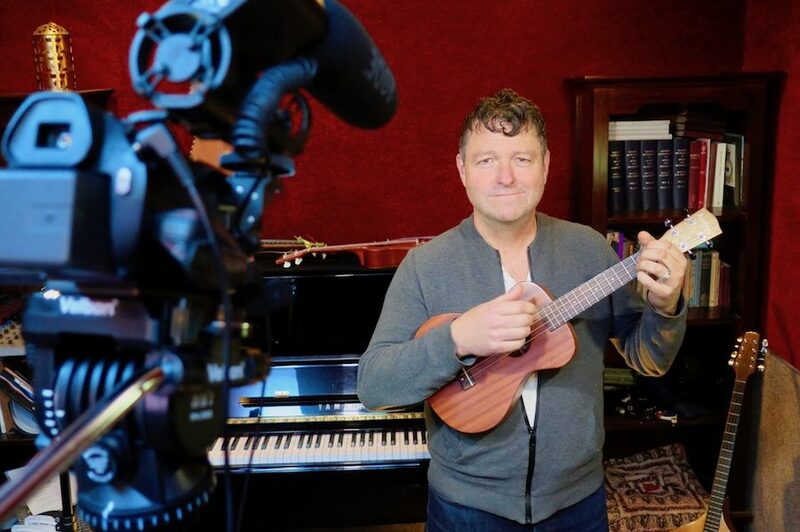 Richard was on BBC Radio 3’s In Tune last week talking about his upcoming Stringhenge concerts as well as his recently released album Durrant y Ledesma. Click on the button below to listen Richard’s interview, which starts at 10.09 mins. 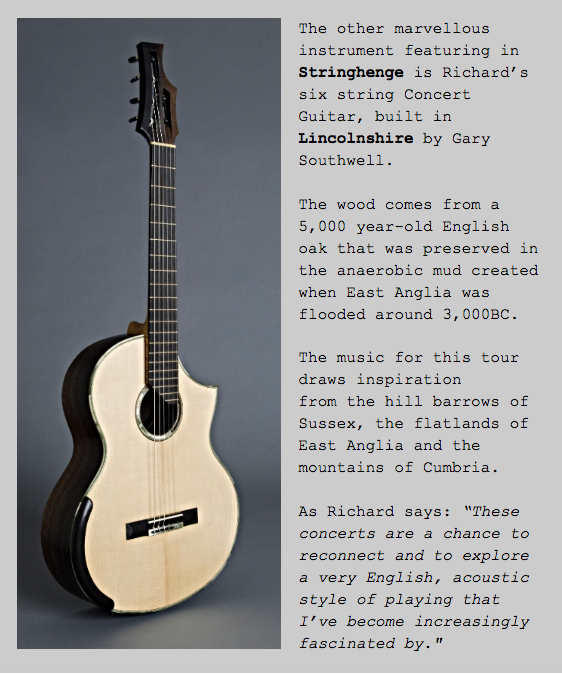 And here’s a little flash of what’s to come at Stringhenge with a rather English version of a piece by JS Bach – his Bouree from the 1st Lute Suite in E minor – which Richard calls his ‘Bog Oak Bouree’. May has been a month for composing and it’s racing past – the only sunlight I’ve seen is when I’ve jumped on my bike for inspiration. 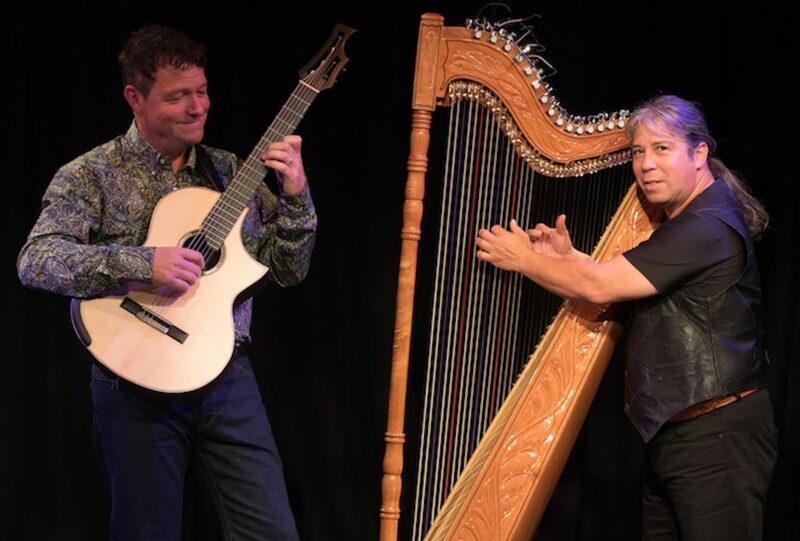 But now I look to the start of my Summer Concerts; a mixture of Stringhenge (the first next Friday 26th May at Theatr Clwyd, Mold) and then a short run of gigs with the fantastic Mr Ledesma. Yes, Ismael, one of the leading Paraguayan harpists of all time is returning to our shores for a weeks’ tour. 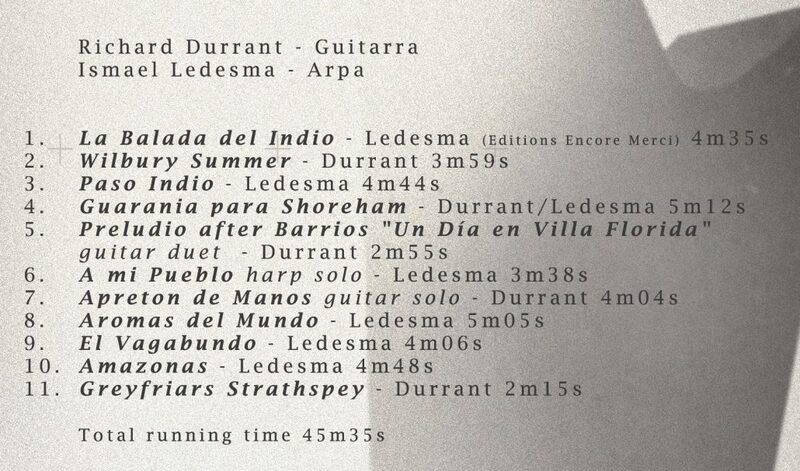 Together we’ll be playing music from our new album Durrant y Ledesma which we launched in Paraguay last month. If you didn’t see us last time you must try and come along – these gigs are something different! We start with an open air show at the Brighton Open Air Theatre on 15th June and finish at The Stables in Milton Keynes on 20th June. I hope to see you soon and I hope the sun is shining on us all by then! Here are all the dates coming up in the next few months – but do check the website for updates as new shows are being added regularly. 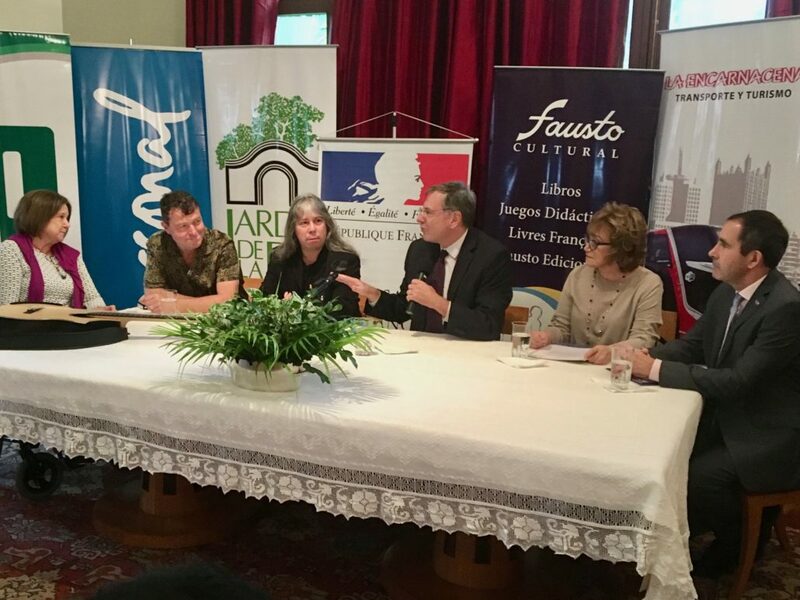 Richard has recently returned from his visit to Paraguay where he and Ismael played a concert and launched their new album ‘Durrant y Ledesma’. Richards explains: ”Sometimes on these tours magical things can happen when you least expect them. While I was in Asuncion, I visited the Plaza Uruguaya – the very spot where Barrios Mangoré himself performed for the very last time in Paraguay in 1925. He left his home country soon after, never to return and died in 1944. I decided to play ‘La Última Canción’ a fitting piece for an impromptu, Paraguayan happening. The Durrant y Ledesma album launch was a great success. This album is available from our online shop as a CD or as downloadable FLAC or Apple Lossless files at full mastering quality (96-24). 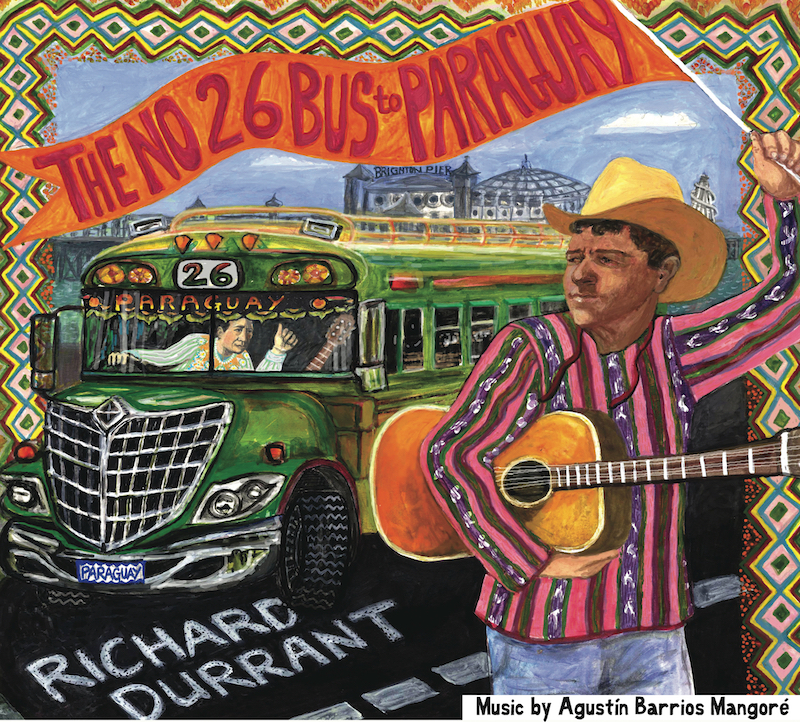 Richard’s book ‘The No 26 Bus to Paraguay’ is also available online and contains eleven, previously unreleased, beautiful new guitar pieces plus the story of how a number 26 Brighton bus took the Richard all the way to Paraguay. All these items are ow available in Richard’s online shop. 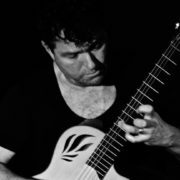 Richard’s latest show, Stringhenge, has now been performed three times and is showing all the signs of becoming a classic Durant creation, perhaps one to rival The Guitar Whisperer in terms of originality and artistic quality. 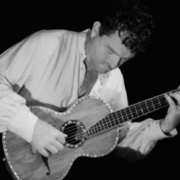 In these early shows audiences have been particularly struck by the Tenor Guitar renderings of music from the Bach Cello Suites juxtaposed with British folk melodies. As Richard himself puts it: “I’m using the magic of Bach to unlock the hill barrows and henges of Britain”. Add to the mix a weird and wonderful selection of English music (Henry Purcell segued into the Bromley Horn Dance Tune!?) 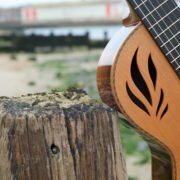 performed on a guitar made from a 5,000 year old tree and the strange allure of Durrant’s Stringhenge creation begins to become apparent. 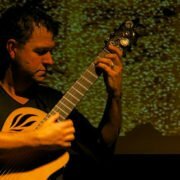 Standing barefoot in front of a beautifully lit backdrop, sometimes covered in projections of artwork inspired by neolithic Britain, Durrant seems at the height of his virtuoso powers. But the stories with which he links the music contrast a love of his native landscape with a growing discomfort for Britain’s new place in the world. Richard continues: “This is a real journey of discovery for me – exploring a love of Britain without tripping over the spectre of patriotism”. Richard is particularly pleased with the look of the show. He explains: “My sister Ann has produced a series of prints that we’re using in the show. Ann works in her mobile studio which is built into a huge, blue bus. It’s got a wood burning stove and it’s own printing press. Very Stringhenge…”. 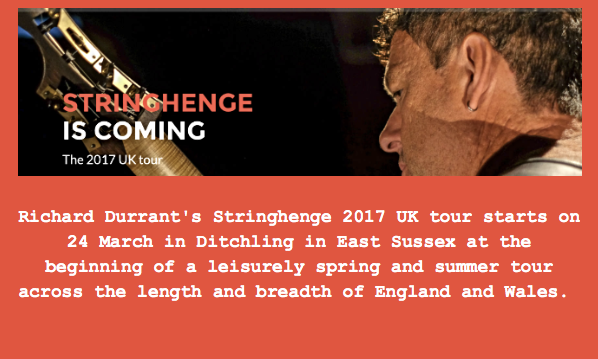 Stringhenge the tour is growing all the time with dates just in for France (Sept 2017) and Holland (March 2018). There are UK dates in June and September 2017 and many more are being planned for next year. 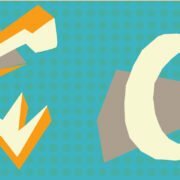 An album has been mentioned more than once! 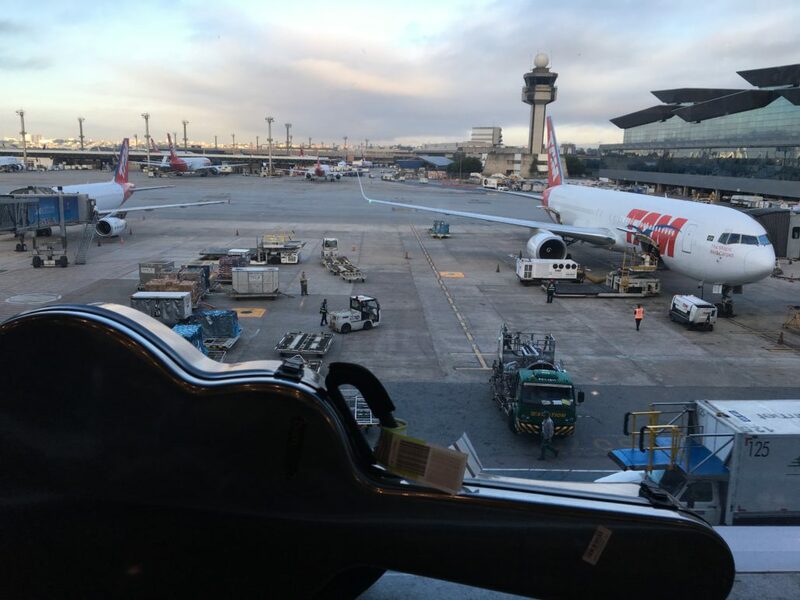 Richard has arrived in Paraguay for two concerts. 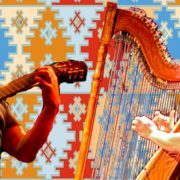 The first is with harpist Ismael Ledesma to play a gig at the Japanese Cultural Centre this Friday night. 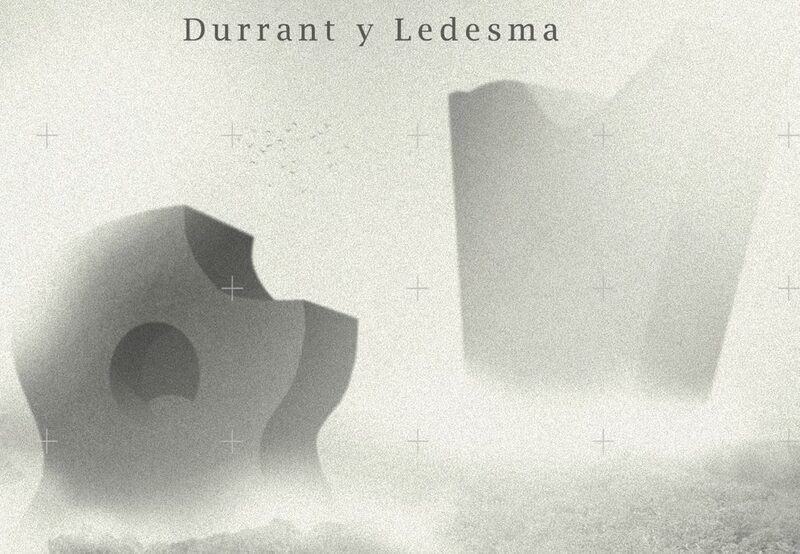 The concert is to mark Ismael’s 35 years of globetrotting performances and also to launch the new duo album “Ledesma y Durrant”. 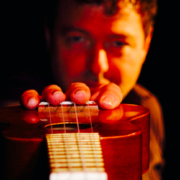 The second performance is Richard’s solo concert on Tuesday at the Fausto Cultural. Preceded by a master class on the Monday, this solo concert will be Richard’s first in Paraguay since November 2013. The gig will include works by Paraguayan composers Agustin Barrios, Juan Duarte and Felipe Sosa. 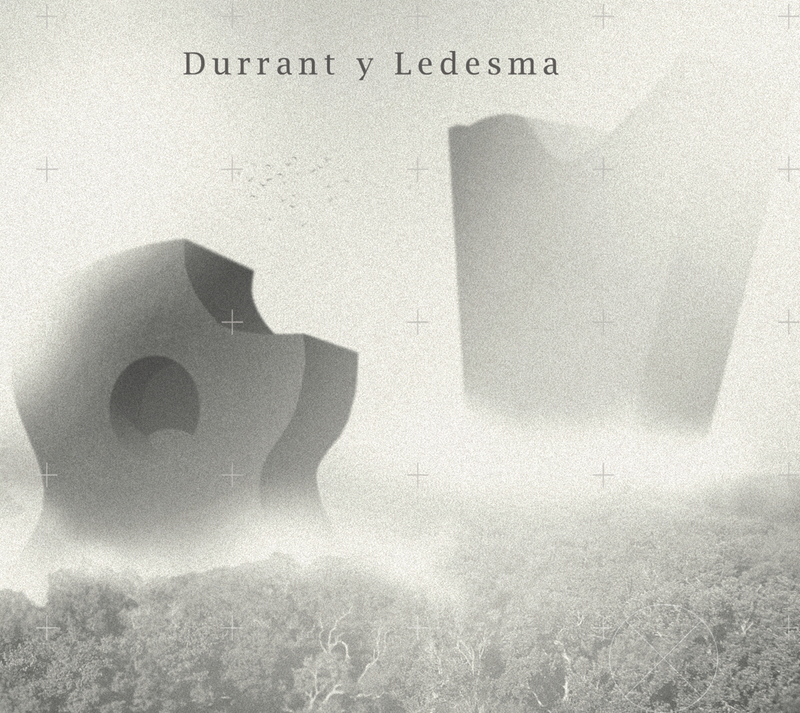 Listen to a sample track from the new album: http://richarddurrant.com/wp-content/uploads/2017/03/La-Balada-del-Indio.mp3 Durrant y Ledesma is available from our online shop as downloadable mp3 files as well as studio mastering quality 96-24 files in FLAC or ALAC album zip format – or as a physical CD. 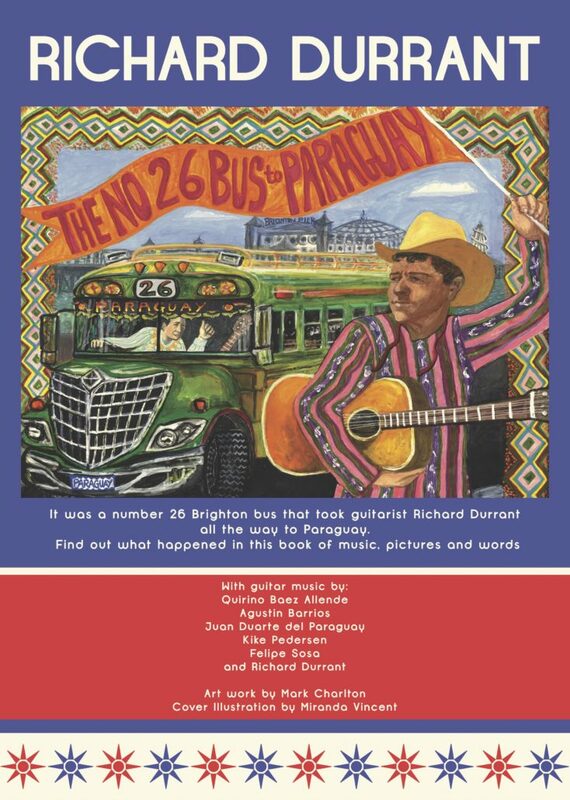 Richard’s new book contains eleven, previously unreleased, beautiful new guitar pieces plus the story of how a number 26 Brighton bus took the musician Richard Durrant all the way to Paraguay. The Stringhenge story is as old as the Long Man of Wilmington. Richard used to live in Wilmington Priory at the feet of The Long Man so the performance near here will have a real connection personally as well as to the landscape of the British Isles. Another performance in this great line up will be in a church in Baulking around midsummer – in sight of the Uffington White Horse itself. 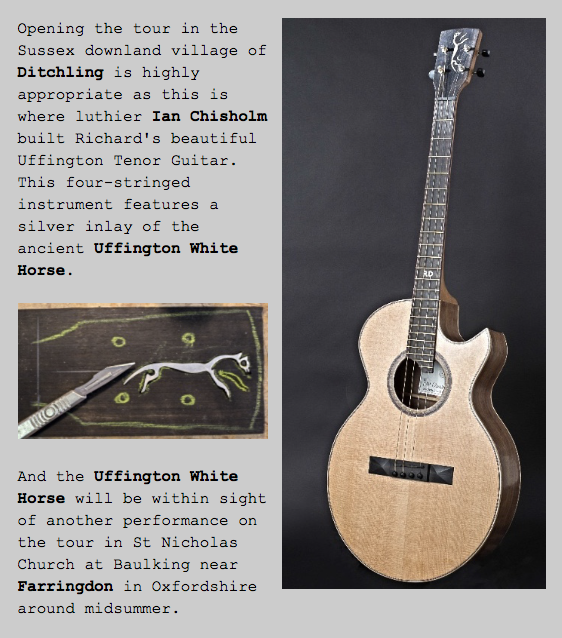 Again highly significant as one of the real stars of this show will be Richard’s Uffington Tenor Guitar, built in Sussex by Ian Chisholm and featuring a beautiful inlay image of the horse. 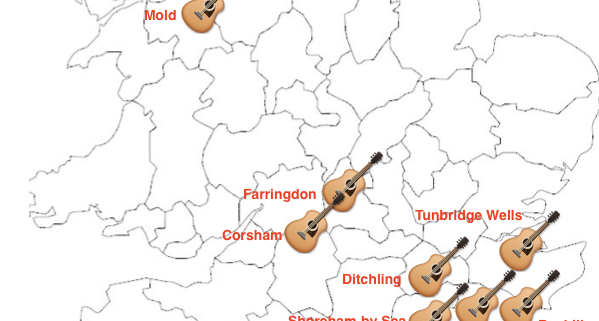 And it is to Ditchling – the home town of Ian Chisholm – where the tour commences in March. 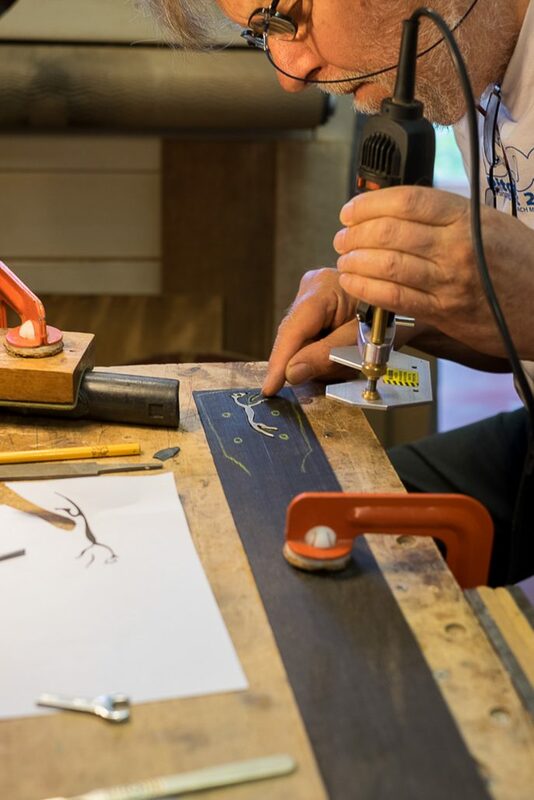 The other star will be Richard’s new six string Concert Guitar, built in Lincolnshire by Gary Southwell and made from a beautiful 5,000-year-old English oak. This ancient oak tree actually grew in North Norfolk and the challenge is now on to secure a performance as part of this tour as near as possible to where the wood in this fantastic instrument grew. Any suggestions anyone? 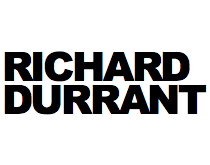 Richard’s music for this tour includes some real Durrant originals drawing inspiration from the hill barrows of Sussex, the flatlands of East Anglia and the mountains of Cumbria. Other pieces are chosen from eleven centuries of music. This is real roots music on the folk/classical cusp linking the mesolithic to the 21st century. Check the website for updates as new shows are being added regularly. 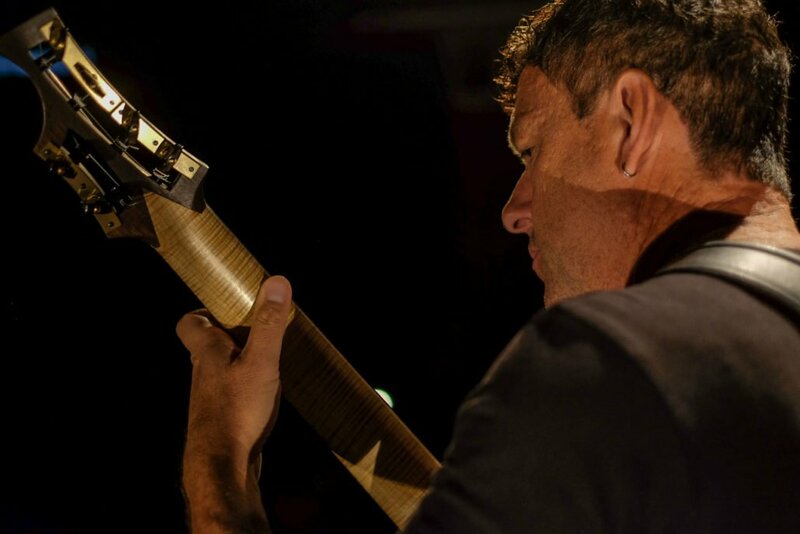 1 March 2017 will be one of the most significant dates of Richard Durrant’s musical career with the much heralded launch of The Richard Durrant Academy. a host of further enrichment materials. 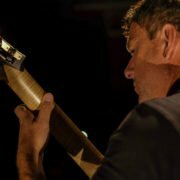 The lessons are designed for beginners but are also ideal for more experienced players who want to improve technique and strengthen their knowledge of music. All prices will be on the Richard Durrant Academy site when it goes live on 1 March. The first 50 subscribers, and those who completed our survey, will receive a special discount.